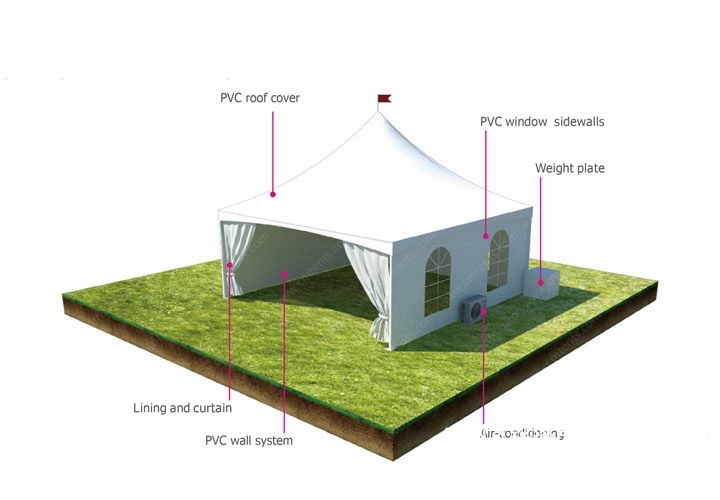 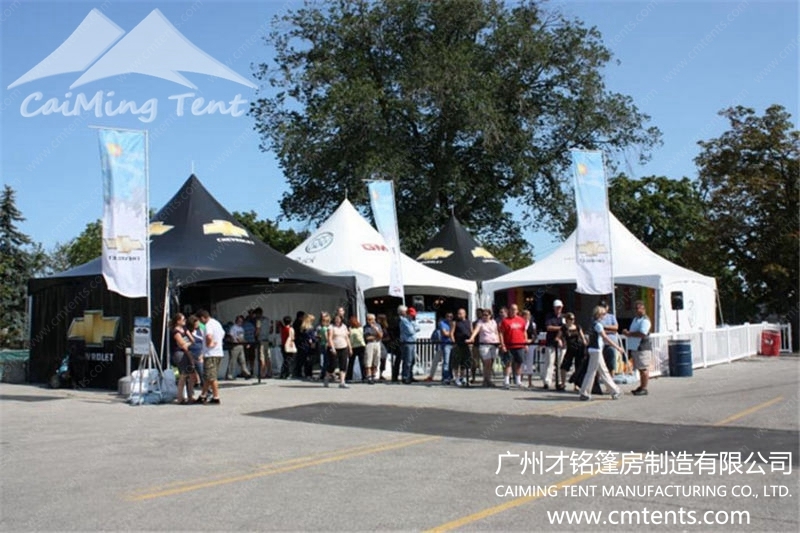 The Pinnacle Tent series are available in 3x3m, 4x4m, 5x5m, and 6x6m with a standard side height of 2.5m. 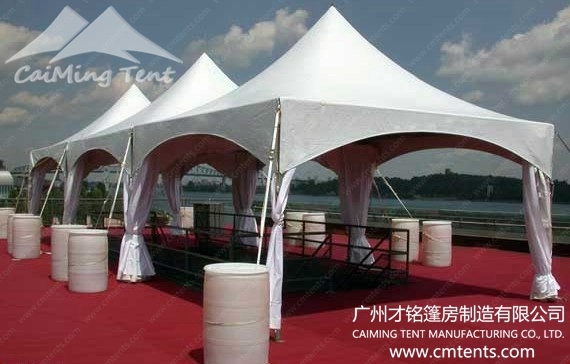 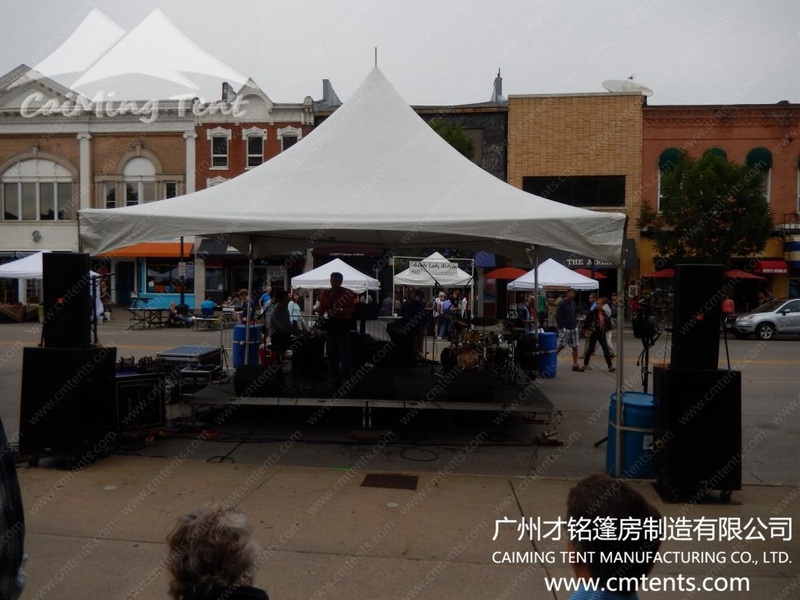 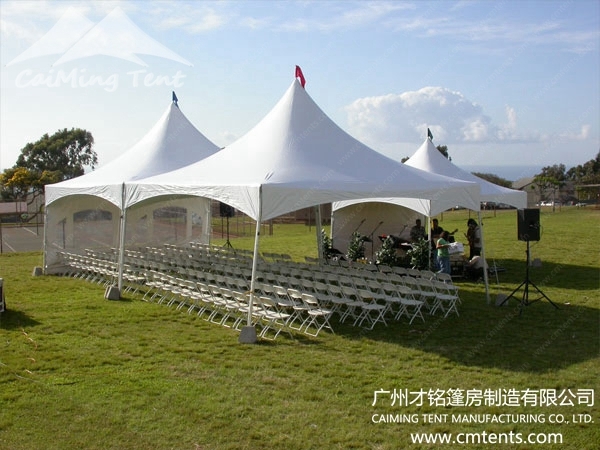 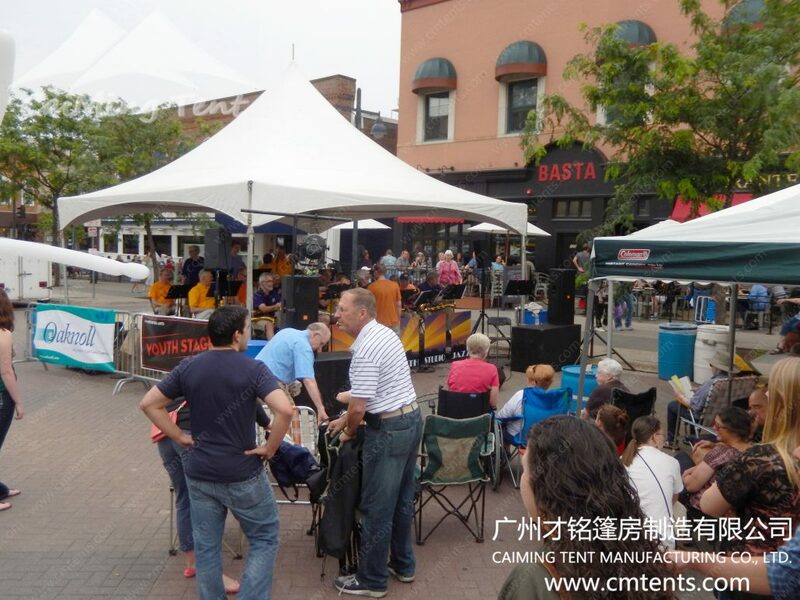 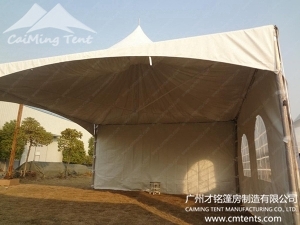 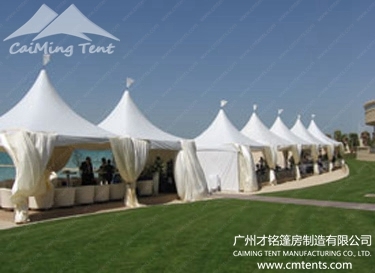 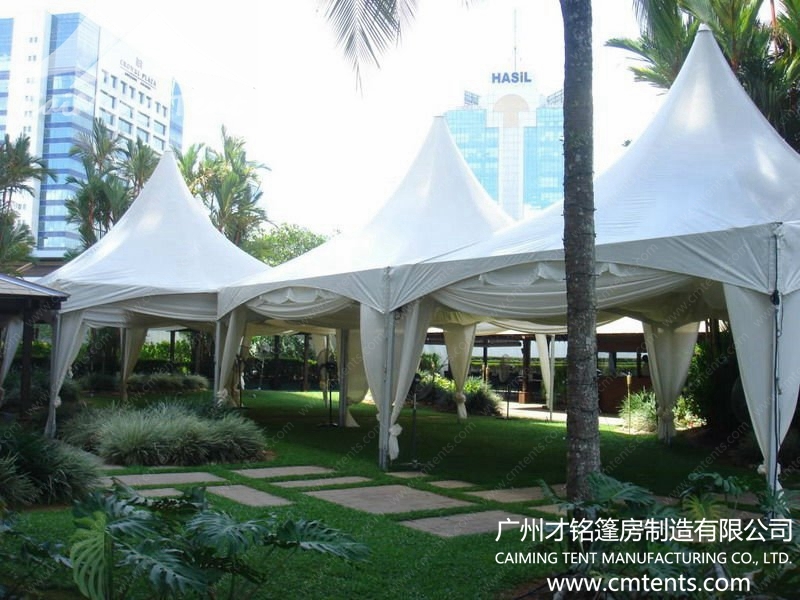 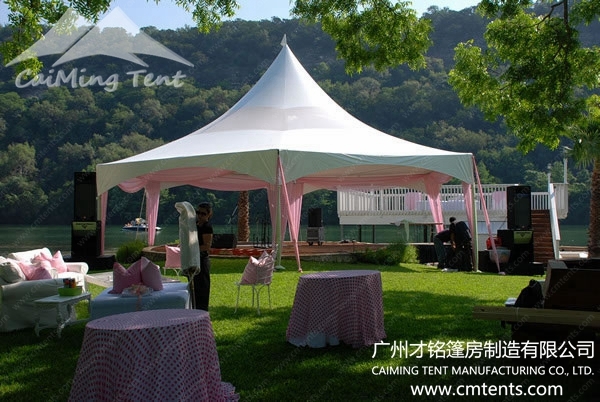 The frame work of the tent use the 3 channel 65x65x2.5mm aluminum alloy and it can resist the wind speed of 80km/h (0.3kn/m2). 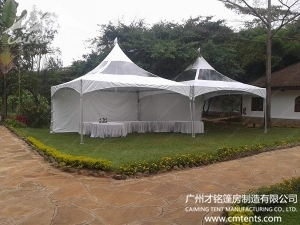 The fabric used consists of opaque 850g/sqm PVC and the roof cover is fixed on four upright supports. 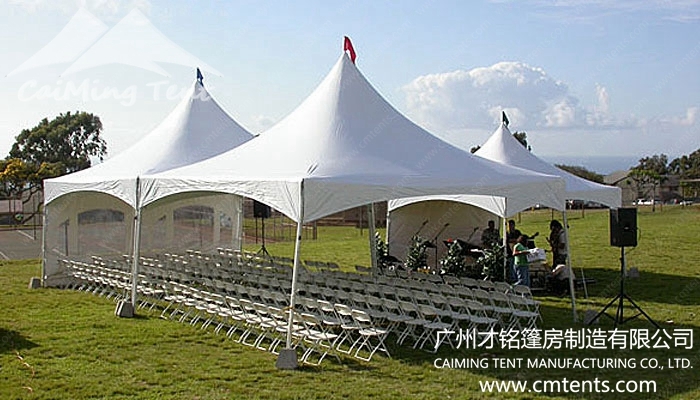 There are several options of accessories to choose from. 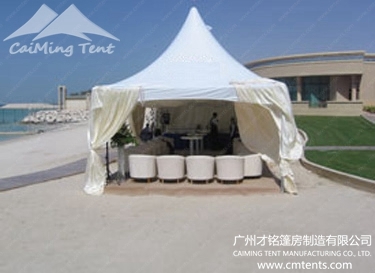 The options for this tent include a glass wall system, glass doors, wooden flooring, ground anchors, decoration lining and curtains, etc. 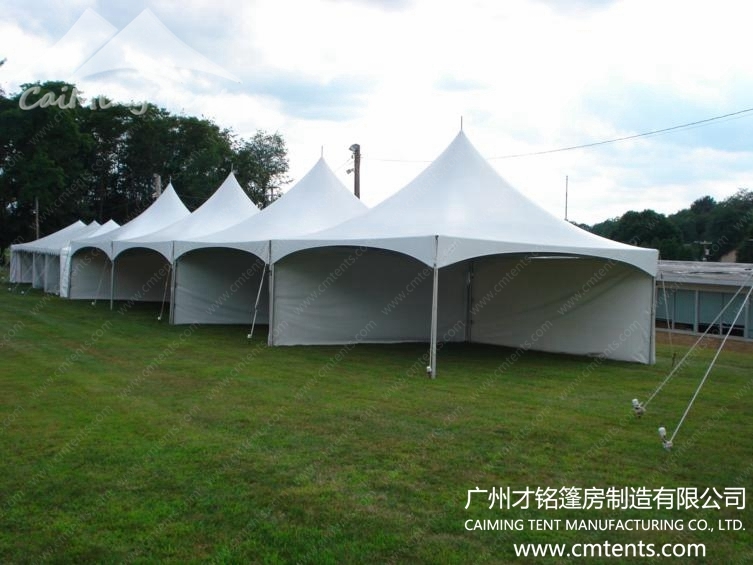 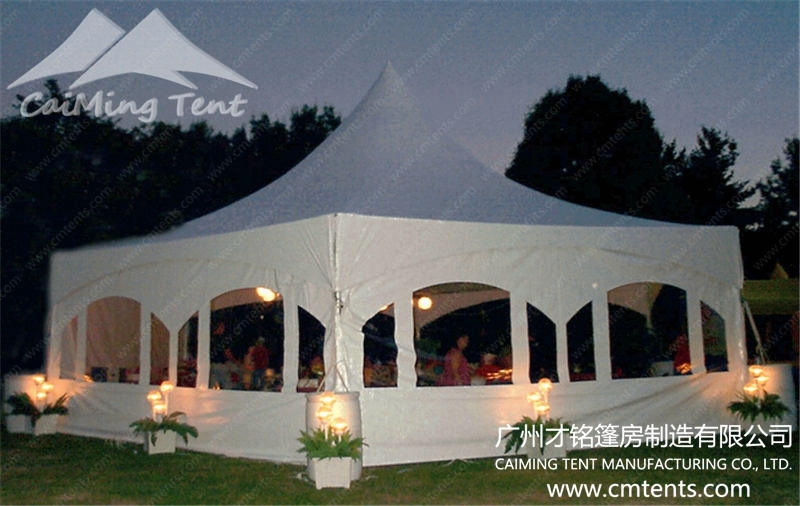 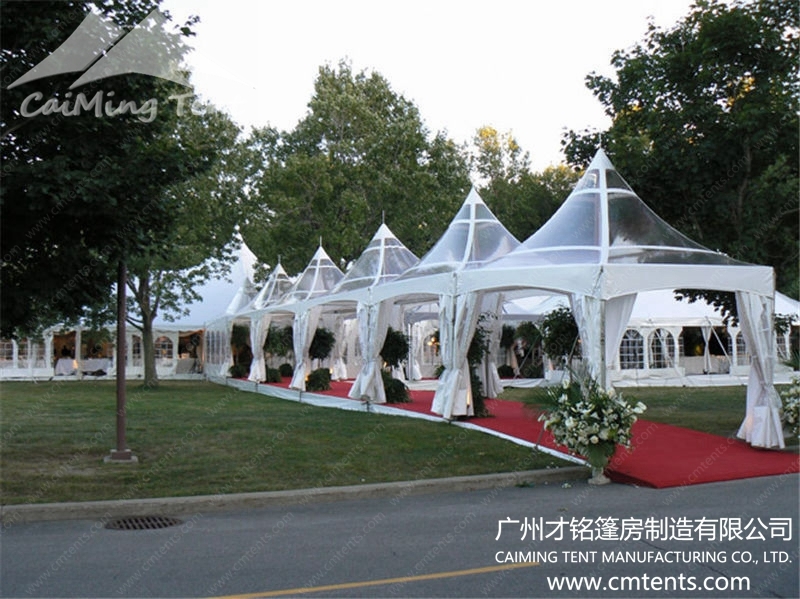 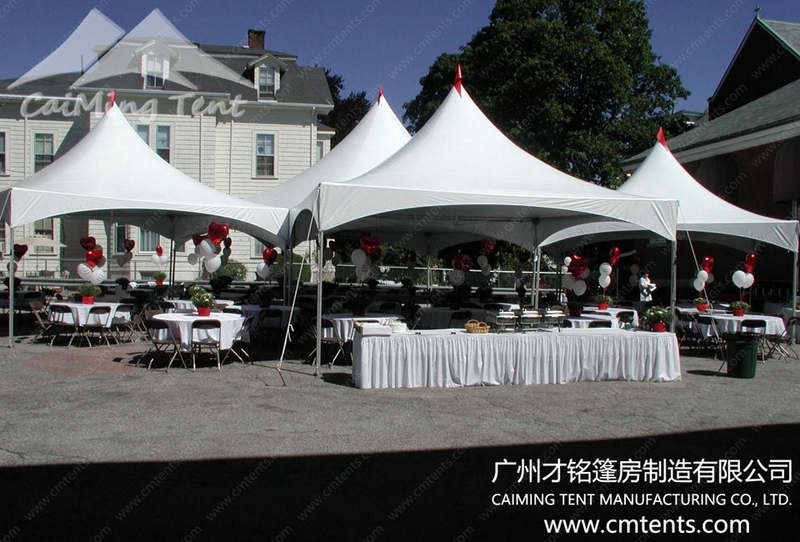 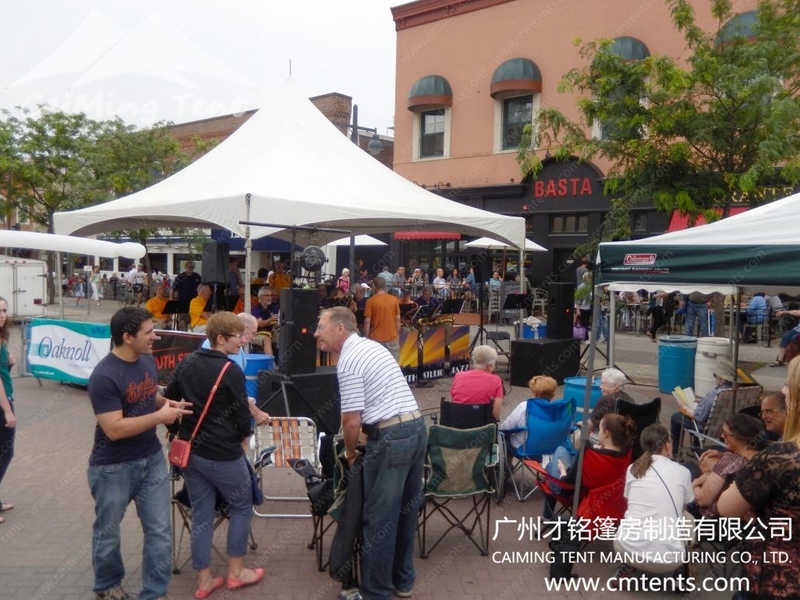 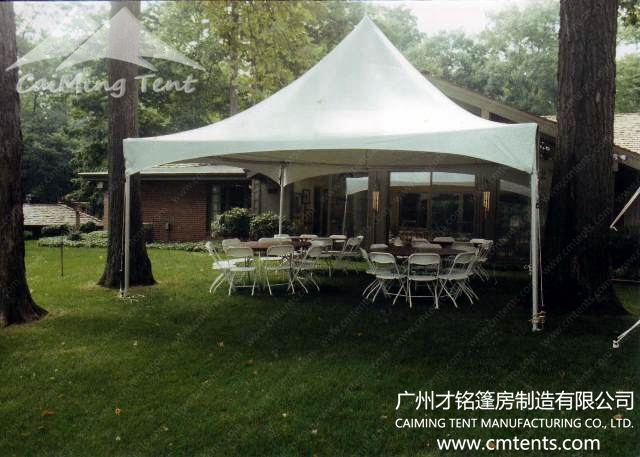 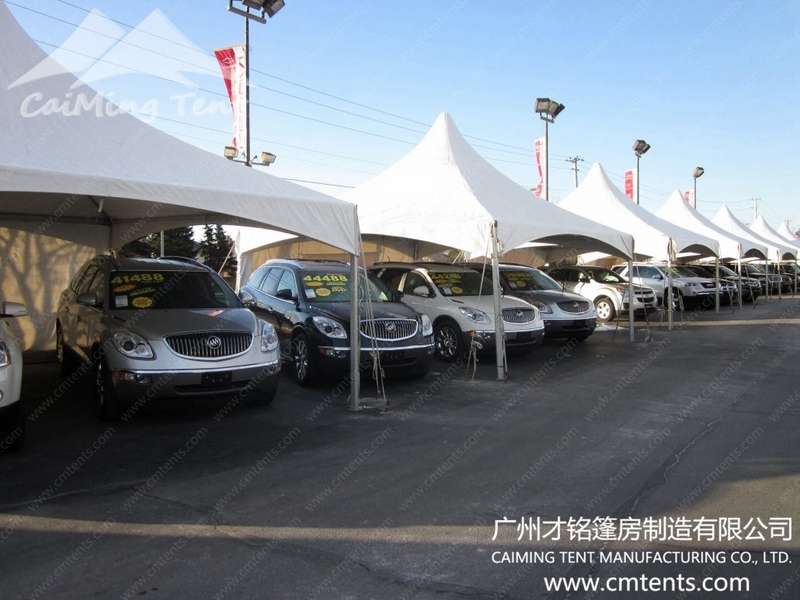 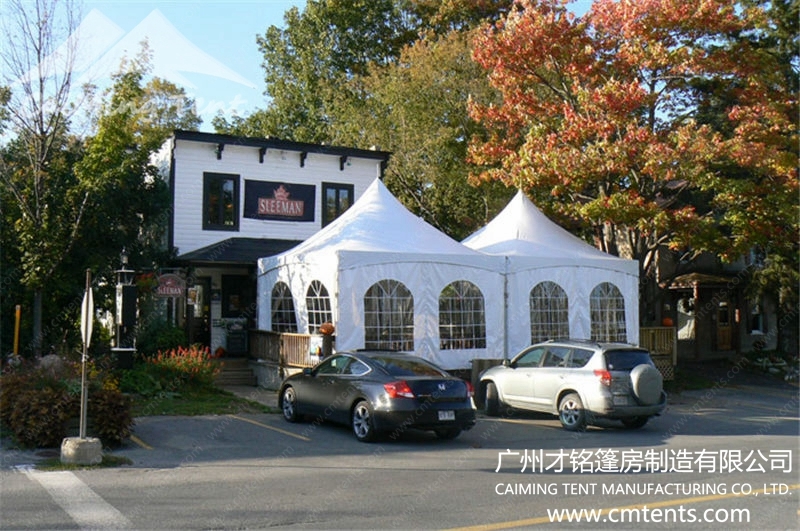 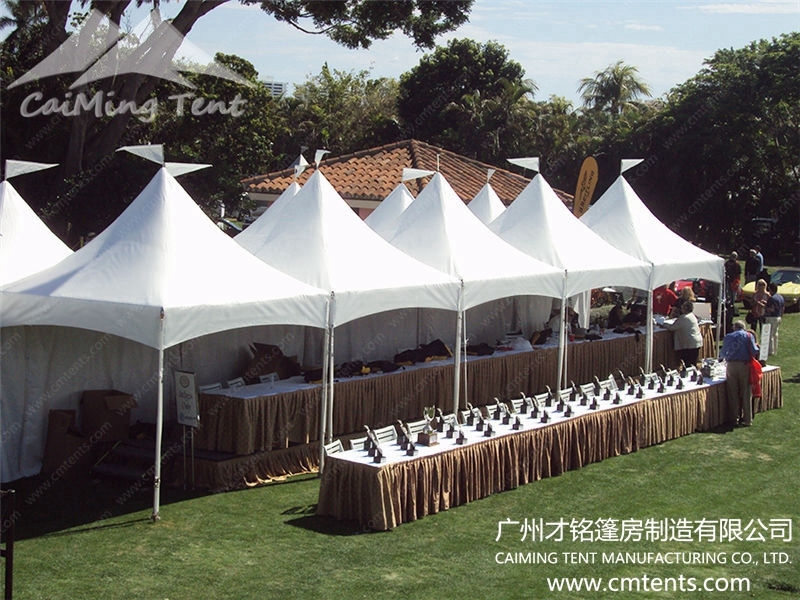 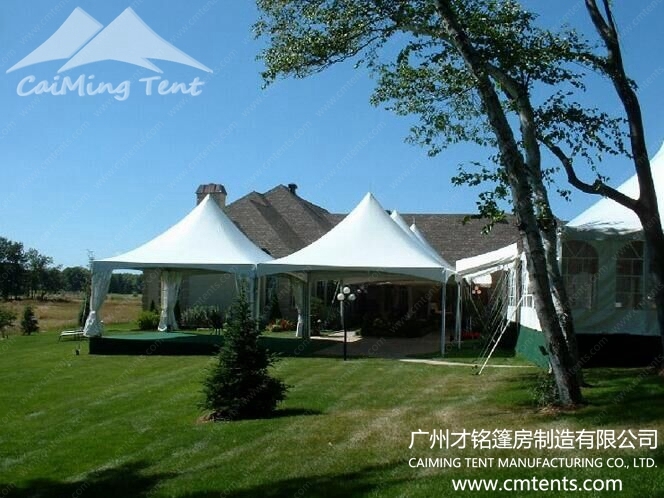 Compared to the traditional European style Pagoda Tent, the Pinnacle Tent series is more popular in America. 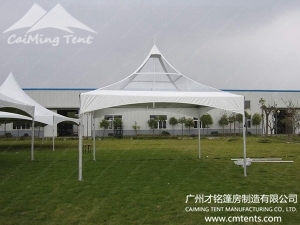 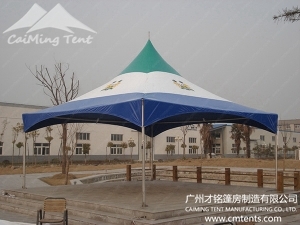 The inside structure is simplified, applies only two steel ropes and a center pole to lift up the roof top; it is beautiful and attractive looked from the outside; it’s safer and more stable than the folding tent. 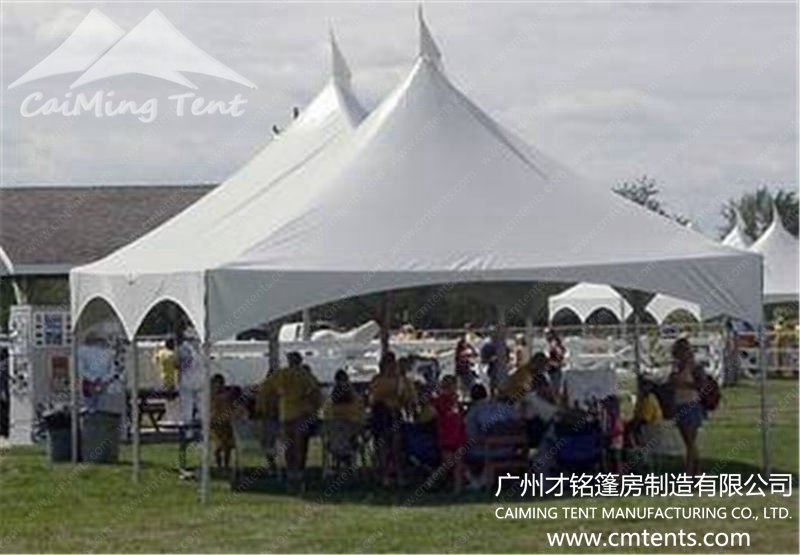 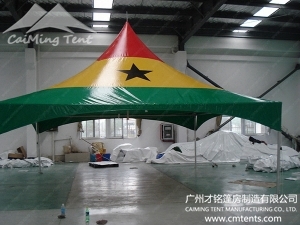 A tent you cannot miss for your outdoor activity.